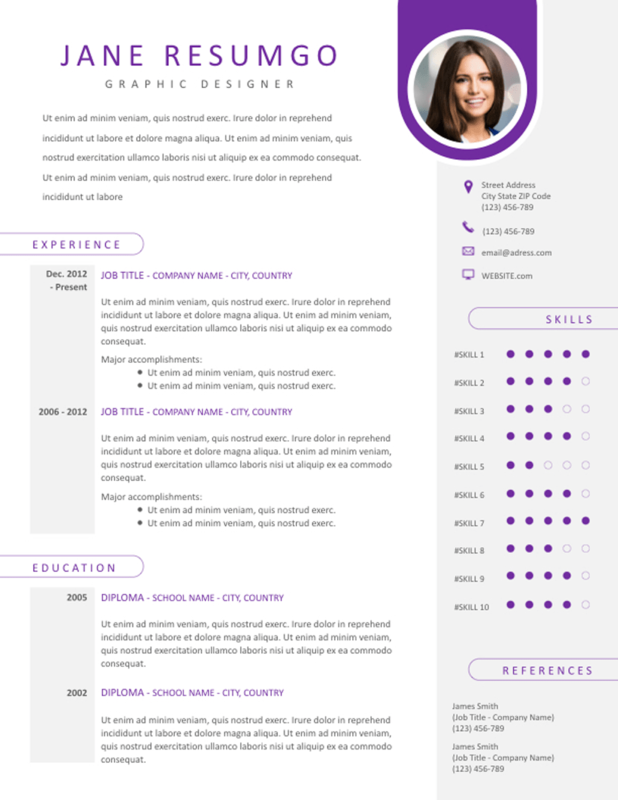 Kleio is a free trendy purple resume template, with a nice photo badge header. 2-column structure layout on a white background. Clear and unique style. The left side of the template will present your experience and education. The right part, with a full height light gray background, is used for your contact information, skills (equalizer-type dot chart) and references.